ON THE SHELF: JUDAS ! : FROM FOREST HILLS TO THE FREE TRADE HALL, A HISTORICAL VIEW OF THE BIG BOO by Clinton Heylin. (2016) Everything I read about folkies going electric occur mostly after two events; one being the Beatles performing on Ed Sullivan and second was Bob Dylan going electric in 1965, hence the subtitle THE BIG BOO. 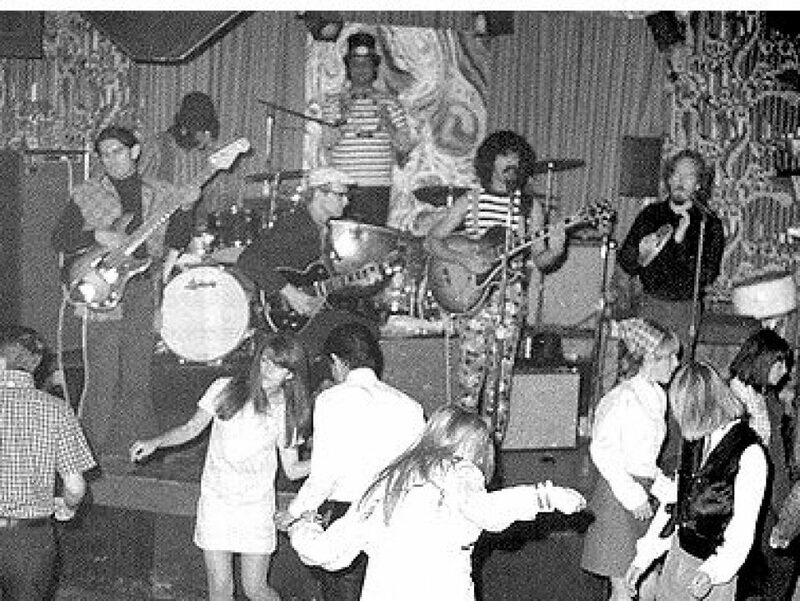 If you listen to the song CREQUE ALLEY by the Mamas and Papas you’ll hear a biography of the various musicians mostly folkies who happened to be “passing the hat” in the clubs in and around Greenwich Village New York during the early 1960s. After the Beatles on SULLIVAN a few of the solo acts, mostly songwriter types, reformed as duets or small combos to the horror of the folk aficionado and turned “electric”. Also,Barry McGuire having a #1 hit with “The Eve of Destruction” turned a few heads. CLINTON HEYLIN, the British author is a renown DYLANOLOGIST and with some recently uncovered acetates of DYLAN’S soundboards from the now fabled 1966 tour, Heylin offers some new insights. This book is seriously researched so the faint of heart, the casual reader might drop off or skip many pages due to the books repetitiveness, that is, “Where they booing?”, “Who was booing?” “What was Bob actually thinking that night?”, etc, etc. Our journey starts in NEWPORT FOLK FEST 1965 (the first boo), slowly morphs into THE HAWKS (a band playing so loud it hurt) joining him for FOREST HILLS 66 show and then the author takes us the reader throughout the United States, Europe, and back. Just the newspaper reports alone ,which are extensively referred to throughout the book, helped me the reader understand the depth of what was occurring. This book follows the entire tour of Bob Dylan on his historic electric adventure, not skipping one date during 1965/66, a tour which changed the face of music. “Folk-rock, I’ve never said that word” Bob Dylan. In the next few endeavors I’ll investigate some of the technological advances that became popular, devices which brought music to the masses. In short, a brief history of early radio and television, with a juke box or two throw in. But first, let’s hit the burlesque house. Recently I read a book THE COMEDIANS: DRUNKS, THIEVES, SCOUNDRELS AND THE HISTORY OF AMERICAN COMEDY by Kliph Nesteroff (2015). The title just about said it all. It was a fascinating read, not laugh out loud funny as one might assume by the designation THE COMEDIANS, but rather insightful in discussing drunks, thieves and scoundrels one can and will find in the entertainment business. Like most who document the past I base some of my musings from the experiences and facts of others. What I have drawn out for this episode comes mostly from one source. Kudos to Mr. Nesteroff as I include his thesis, at times very comical, as his study draws a direct line to the proliferation of the mass appeal of radio and then later television as our primary source of ENTERTAINMENT and HOW the “business” of ENTERTAINMENT grew from back rooms and thievery, up to arena rock and its thievery… Money, money, money being the common thread . Reading this book I was particularly interested in how comedians, singers, vaudevillians, etc, developed from traveling showmen playing local stages, moving through the bars, theaters, dance halls, vaudeville and burlesque houses, all which were found across our expanding landscape and how with their eminent demise in popularity these arts morphed over the years to be later found on the airwaves, most specially, first the radio. These entertainers travels were not easy by any means so the love of their craft (or money) must have been foremost. There are many social and economic factors, with a bit of politics thrown in for good measure, and of course THIEVERY which could cause the weaker of entertainers to disappear, making the “game” a survival of the fittest… or the smartest or… the most cunning. Let’s start with the comedians. Usually these funny men were showcased in vaudevillians acts, mostly as the emcee. These comedians needed to change their act on a regular basis in order to survive. How else could you do a few shows in the same town if you had the same “bit” as the last time. Most comedians stole bits from others and had the gaul to present their new “act” as their imprint. Circa 1920’s there were about 5000 vaudeville theaters (bars or dance halls not included) scattered around the good ole US of A…500 seaters were considered small…1000 seats as medium sized, with large hall being in the 1500-5000 range. An example of the money a comedian could earn, if you happened to be a “star” (this being an era before press agents and big advertisements) say a star like Jack Benny, Mr. Benny made $750 for a week of shows in the late 1920’s and doubled to $1500.00 a week by 1930. That my friend is and was no small change for telling a few jokes in the depression era. Most halls were owned by a handful of moguls with the most important theater of the 1920’s being also the most desired of booking, The Palace Theatre, Broadway and 47th Street in Manhattan, New York City. From 1913 through 1929, the Palace was known as the world’s foremost vaudeville stage, hosting headliners like Ethel Barrymore (1913), Will Rogers (1916), Lillian Russell (1918), and the Marx Brothers (1920), along with performers like Sarah Bernhardt, Bob Hope, Mae West, Fred Astaire, and Bing Crosby. This prime booking lent credence to the famous adage”to play the Palace” which signified that that act officially made it in show business. Even though I said Mr. Benny was raking in the dough some sensed that the “artists” were getting ripped off and abused by the “moguls”. Fred Allen in 1916 started the NVA (National Vaudeville Artists) Union. Allen later became a huge radio artist as well as a television icon. Look him up if you don’t recall how influential he was to the development of the arts. Let me jump to the DEATH OF VAUDEVILLE as stated so eloquently by Fred Allen: (1956) Vaudeville is dead. The acrobats, the animal acts, the dancers, the singers and the old-time comedians have taken their final bows and disappeared into the wings of obscurity. For 50 years vaudeville was the popular entertainment of the masses. Nomadic tribes of nondescript players roamed the land. The vaudeville actor was part gypsy and part suitcase. With his brash manner, flashy clothes, capes and cane, and accompanied by his gaudy womenfolk, the vaudevillian brought happiness and excitement to the communities he visited. Vaudeville was more a matter of style than of material. It was not so much what the two- and three-a-day favorites said and did, as how they said and did it. For 50 years vaudeville’s minstrels found their way into all lands, preaching their gospel of merriment and song, and rousing the rest of the world to laughter and to tears. A few diehards who knew and enjoyed vaudeville hover over their television sets, hoping for a miracle. They believe this electronic device is a modern oxygen tent that in some mysterious way can revive vaudeville and return its colorful performers of yesteryear to the current scene. The optimism of these day and night dreamers is wasted. Their vigils are futile. Vaudeville is dead. Period. What or who killed vaudeville? Easily said, the Crash of 1929 and a Constitutional Amendment, #18 AKA Prohibition, seriously maimed if it didn’t outright kill vaudeville. The Wall Street Crash of 1929, known as “Black Tuesday” (October 29), actually began the previous Thursday on October 24 (Black Thursday). That incident was the most devastating stock market crash in the history of the United States, one causing massive lay offs followed by years of extremely hard times. Radio audiences grew as a result of those unemployed folks having lost their disposable income therefore not having the cash or in some cases the desire to leave home for their entertainment. Sensing the loss of income the moguls of the entertainment business first campaigned to inform radio owners of the“THE DANGERS OF RADIO” as these inventions “caused hearing loss and house fires”. Nonsense, fake news to save their investment. In this time of economic blackness investors turned away from theaters, specially the costly vaudeville shows and moved their money over to the airways, that is the radio. Even The Palace closed. Prohibition on the other hand was a nationwide constitutional ban (1920-1933) on the production, importation, transportation, and sale of alcoholic beverages. For those 13 years that Prohibition was “officially” in effect the ability to enforce it was limited by corrupt and complacent politicians who overlooked illicit manufacturing and smuggling. The 18th Amendment was finally repealed in 1933 by ratification of the 21st Amendment, the only instance in United States history that a constitutional amendment was repealed in its entirety. During a Q and A session directly after CHASING TRANE, a superb documentary on the life and times of JOHN COLTRANE, one of the audience members asked the film maker where did some of the graphics used in the movie, and especially the poster for the movie, come from. The answer was direct and simple: “From a children’s book, SPIRIT SEEKER ,written by a wonderful author Gary Golio who utilized the amazing art work of a guy out of New Jersey named RUDY GUTIERREZ”. The very next day I searched for the book and lo and behold found it available on line. BINGO, I ordered two. The package arrived today and I can honestly say this purchase of two is well worth the money spent. The story chronicles the life of Coltrane from his humble, religious upbringing, through the deaths of his father and grandfather, to the time where he first picked up and instrument, and ultimately the musical leaps that occurred throughout his short career. The reason for two books ordered…THE PERFECT GIFT. Mr. Gutierrez’s artwork is as stated “amazing” and somewhat breathtaking. I’m looking forward to sitting down with my grandchildren, putting on COLTRANE’S GIANT STEPS, and reading to them THE MUSICAL JOURNEY of JOHN COLTRANE. Dreaming The Beatles is my current read. Written by Rob Sheffield, I am amazed at how each new chapter grabs my interest, makes me think back to a time moons ago, and ultimately has me pulling up the music to verify my feelings about the music. Nice job Rob. Particularly, the juxtaposition of RUBBER SOUL and REVOLVER, which like Rob would be my two favorite collection song, and how the “chaps from Liverpool” developed as artists in the recording studio during that period. Experimentation aside, each Beatle brought a unique mindset to the sessions, and as Sheffield states, “you keep changing, letting your perspective get altered by time and drugs….and IMAGINATION”.#BEATLES,#SHEFFIELD,#RUBBERSOUL,#REVOLVER.